The development of this website has been made possible with funding contributions from West Somerset Council, Exmoor National Park Authority and Exmoor Tourist Association, and received match funding from EU INTERREG via the COOL Tourism Project. The project, which ran for 3 years from 2012, aimed to promote and develop rural tourism across the area. This was done working with other English partners in Norfolk, Essex, Kent, Somerset, and French partners in Pas de Calais and Somme Tourisme. 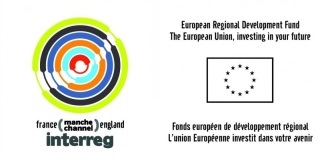 COOL Tourism was selected in the context of the INTERREG IV A France (Channel) - England European cross-border co-operation programme, and is co-financed by the European Regional Development Fund (ERDF). For more information about the funding programme please visit the INTERREG website and the European Commission website. We would like to thank Dan James and Bryan Cath for the use of some of their personal images throughout the website.